Must Haves for Mom of 3 | Preparing for a New Baby with Babies! I am so excited for this series as we are on baby watch for #3! This post starts us off and up next will be Everything for Mama! I know you’ll love it all! I can hardly believe baby 3 is almost here! 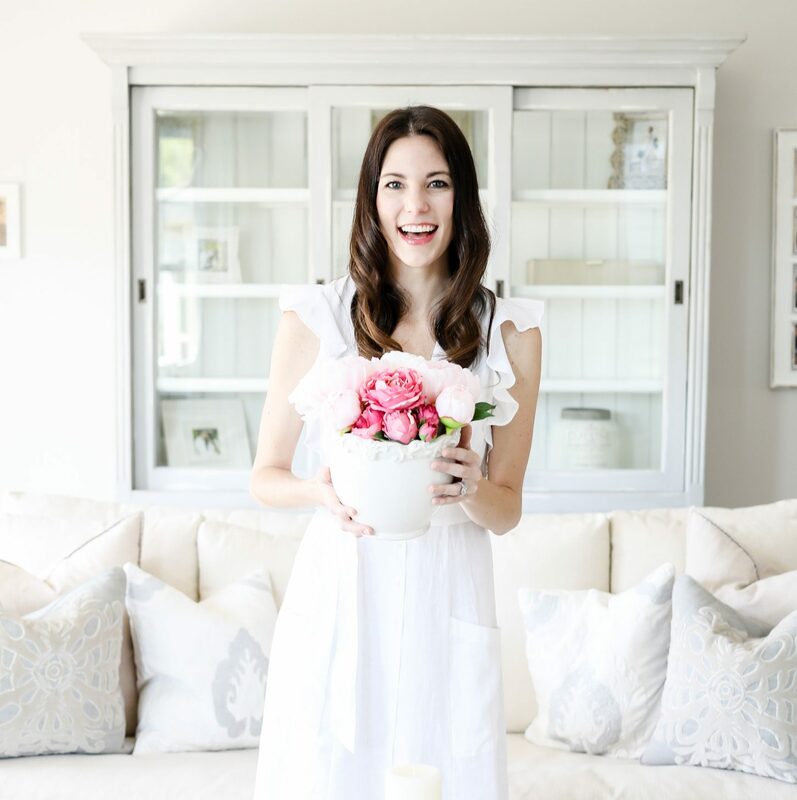 It feels like just yesterday I was writing this post about Ryann Whitney’s nursery! Preparing for the 3rd baby has been quite different than my first and my second. By now I have accumulated a lot of baby stuff but I also realized what I actually need and don’t need. My process for baby 3 was less is more. I started simplifying once I got to the 3rd trimester and we began planning out all the details! Since our babies stay in our room for awhile, we decided to not go ahead with a nursery just yet. Since Ryann Whitney is still a baby, we are going to transition her to a big girl bed when this baby is ready for the crib, most likely around 8 months old. Given that, we knew we had to make a great space in our master bedroom for this baby and all the baby’s needs. One thing I knew we had to have downstairs this time was a changing table! With 2 babies in diapers, I wanted an area for easy diaper changes that helped prevent me from bending over on the bed or up and down off the floor all day. My sweet mama sent us this beautiful changing table and pad and I love how it came out! We went with this soft white cover until we know if we are having a boy or girl! But, you know me, I don’t mind all the white! While keeping the house clean and clutter free is nearly impossible with 3 littles, I manage to keep some of the essentials organized for those crazy moments and inevitable blow outs. I LOVE having easy to move carts for baby items. They are perfect for the bedroom and in the living room, especially since they come in so many colors and can match any decorating style! All my cabinets and drawers are filled with organizers so I knew my carts and baby areas would need them as well! A few that I really love (and I do LOTS of research) are this one that comes in a variety of sizes and these pretty cotton ones! I’m also sharing a few more clear acrylic ones that are a little smaller but may work better for you! I organize our bathroom drawers and office with the clear sets! This one is my absolute favorite, no wonder why it’s the #1 seller on Amazon for organizers! I always start out with a wipe warmer but truth be told, it doesn’t always stick around. I like it for night changes and because we keep our house cold. This is my favorite one that I have used for 2 babies! I’m keeping it simple like I said but here are the must have things that we have on hand for our newest love! The best choice we made for baby 3 was finally getting the Owlet Monitor. Sleep is so important and we both felt we kept waking up even when the baby wasn’t just out of fear. Their customer service was amazing and even if you have the first version, you can now get the improved sock on Amazon! I highly recommend this and it was our biggest splurge and must have for this baby. The set up was SUPER easy and I love how minimal the system is. It also allows it to stay on the baby when they are sleeping in places that are not the crib. I’m also sharing our favorite swaddles since we tried about 50, ha! The Woombie is a must for the first days to about 2-3 months! It is amazing! These Little Remi swaddles were also MUCH better than others because they are bigger! I found the swaddling easier and less likely to get lose arms and all that! They are great for future play time on the floor, too! Our last MUST HAVE was the Snuggle Me Organic. We have previously had the Dock a Tot, Rock and Play, Bassinet, Swing, and everything in between! This time… we have 1 thing and I couldn’t be happier! This is an incredible sensor bed for baby and it is oh so soft and easy to move around! 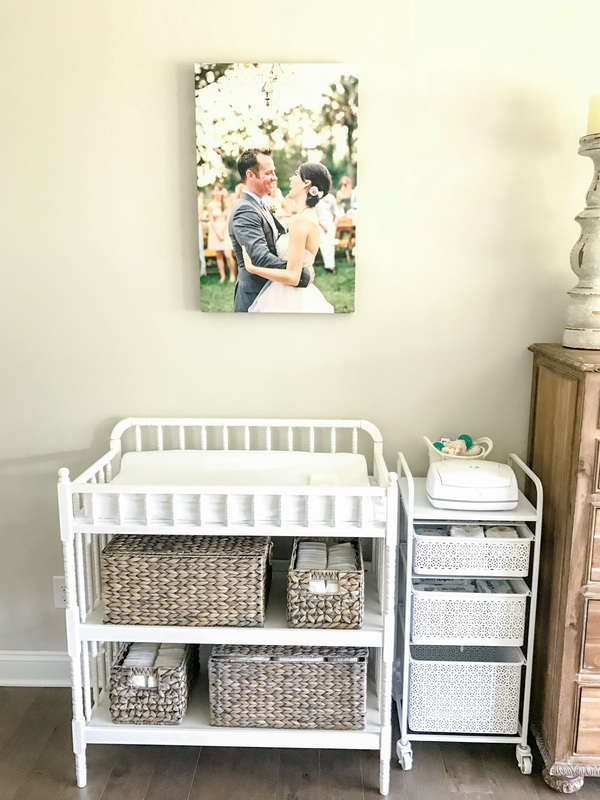 I vowed that I would stick to realistic purchases for this baby… with baby stuff everywhere you look, we needed simple solutions as we grew our family. The first thing on my list was a new diaper bag that was functional, cute, and could accommodate 3 children with various needs when we leave the house. I can’t believe this bag was $35! With a simple monogram, it is perfect! 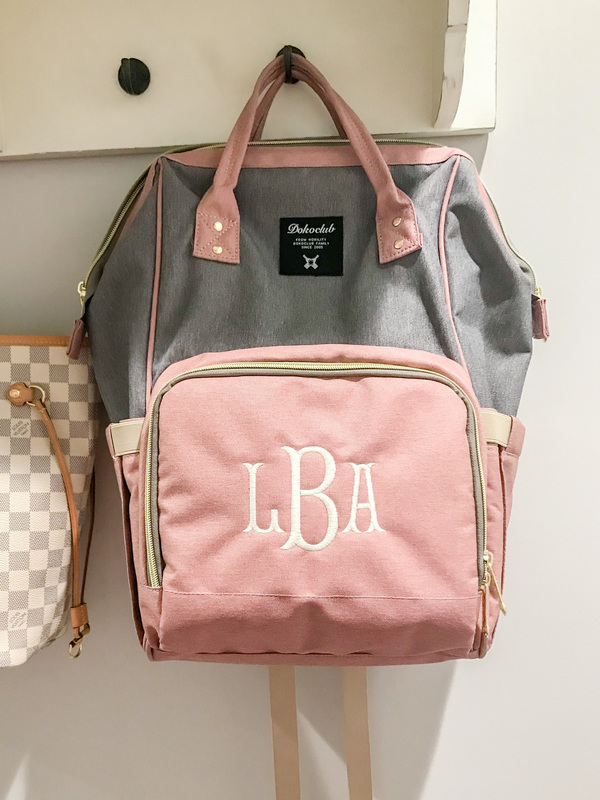 By far my most favorite diaper bag I have ever owned and I looked at and have owned way too many! I also replaced my normal on the go changing pad with one that had slide flaps. It gives more space to make sure the baby touches as little as possible during public changes! This one is the best I found on Amazon and I am SO happy with it! It easily stores my favorite wipes and newborn diapers! COMING NEXT… EVERYTHING FOR MAMA! If you’ve been following along for awhile, you may have read about my experiences breastfeeding Emerson and Ryann Whitney. My latest update is here, if you missed it. We decided to breastfeed again but this time my husband has taken on the role of really learning and understanding the art of breastfeeding and learning some tips and tricks to help me one on one. He calls himself my “mactation” consultant and it’s so cute! I think it will go great with both of us working hard to establish a healthy breastfeeding relationship!! However, if it doesn’t work out, we will be bottle feeding again and I look forward to whichever is best so that we can feed and bond with our baby! With that being said, my next post will be everything for mama for feeding and pumping! I’ll be sharing that one very soon and can’t wait to share some things that did help us through our breastfeeding challenges. I hope our trials will help another mama out!